Navy SEAL sniper Miguel Estrada has endured a year of captivity and torture, but after breaking free and discovering his fiance and their infant son are being followed, the nightmare may just be beginning. Military police officer Waylon Fitzgerald left Mystery, Montana, behind to seek a life of adventure, which comes to a crashing halt when his ex-wife is accused of murder and goes on the run. But when he returns to the family ranch, there's more than a murder investigation waiting for him—a daughter he never knew he had. 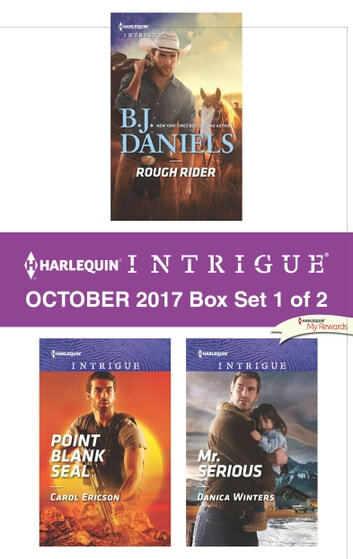 Look for Harlequin Intrigue's October 2017 Box Set 2 of 2, filled with even more edge-of-your seat romantic suspense!